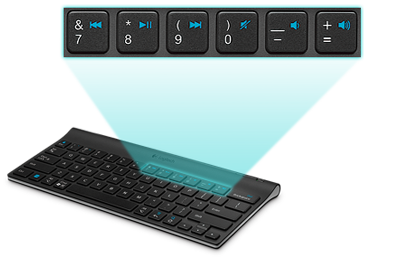 Portable Bluetooth keyboards may sometimes appear to be a blessing in disguise, however they can also cause a variety of other issues and the biggest issue we've had with portable keyboards is the size of the keyboard. Nothing is more annoying than typing on a keyboard with all the keys squashed together as it makes the entire experience a very arduous process. However on a flip side, the larger the keyboard, the more grief it causes with transport. So this is our quandary... until now! 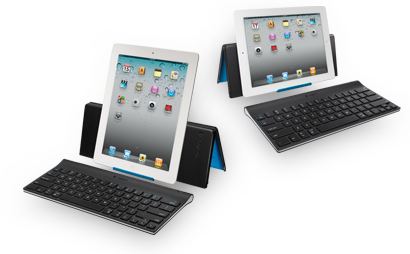 Fortunately Logitech have listened to the concerns of those users of portable keyboards and here we are with the Logitech Tablet Keyboard for iPad which in turn is a fully operational keyboard and is also quite lightweight and best of all, totally portable. Installation is a breeze and you simply needed to pair it with your iPad and "presto", the keyboard now had a wireless connection to the iPad. The design of the keyboard looks quite professional and doesn't seem cheap which actually matches the iPad design with its black body. 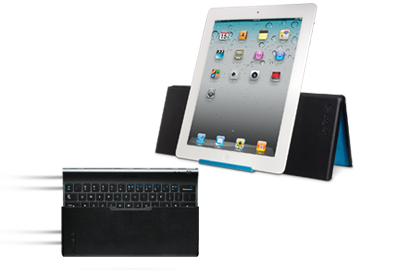 Compared to many other Bluetooth portable keyboards, the design is quite aesthetically pleasing but best of all, works. 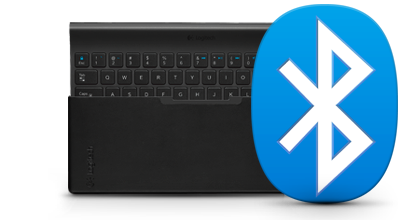 This review and many more reviews were typed on this keyboard and although it's not 100% the same as a desktop keyboard, Logitech have managed to make it small enough but ensure that it is quite usable, without your typing skills being compromised. With that said, if you're used various Mac keyboards before, then you should have no problems in mastering this keyboard with little ease at all. I'm also impressed that Logitech have included a variety of shortcuts or function keys for the iPad. In terms of battery life, it comes with 4 AAA batteries preinstalled so you definitely need to investigate additional batteries or a charger which is probably the only downside of the case. However, another highlight of the case is that it can be used as a stand for your iPad which almost turns the iPad and Keyboard into a fully functional notebook. You simply put the iPad into the holder at the back of the keyboard which in turns stands up the iPad which makes typing easier. In the end, Logitech have once again created a well-designed keyboard and considering that they are the leaders in keyboard manufacturing, it is quite understandable. If you're looking for one of the best iPad keyboards on the market, than this should definitely be on your list... even if you're an iPhone owner!